Itchin’ for a ride but light on cash? Electronic Arts has your back. 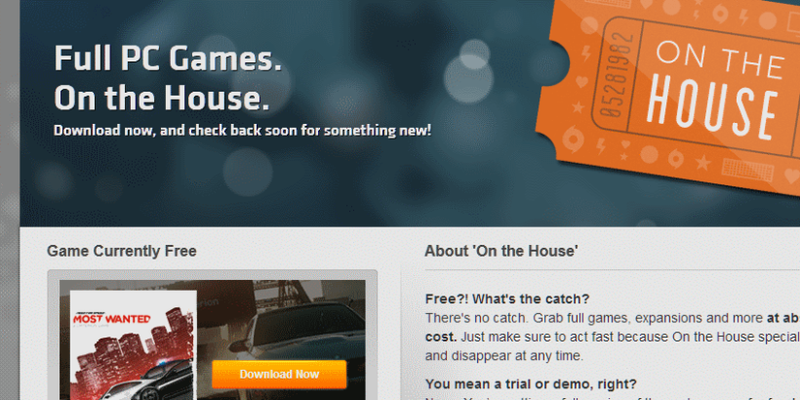 Need for Speed: Most Wanted is free to download via their online service, Origin. Add it to your catalog now and it’s yours to keep! No subscription or credit nolvadex no prescription card required! Is it any good? Don’t know yet … but the price makes the gamble worthwhile. Get yours now, the shelves are always stocked! Just note that it does require a free EA Origin Account. Pah. Minutiae!